Sept 2016 saw members of our Eagle Claw group travel to meet family across Europe. 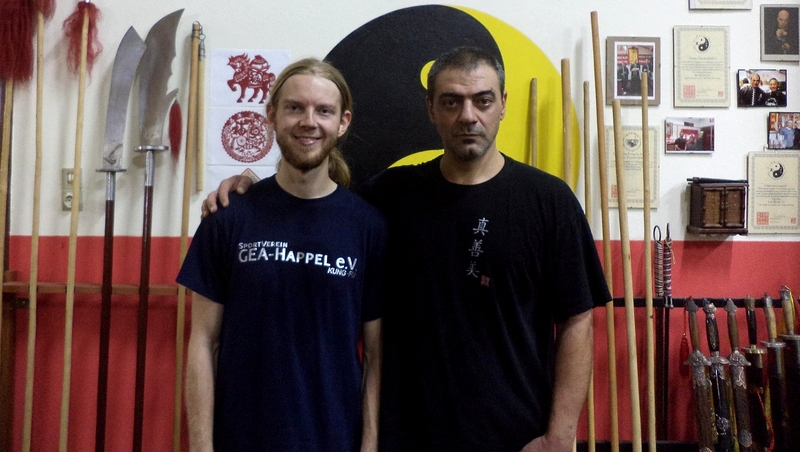 Stefan Klempnauer- student of Instructor Christian Kubiak in our Herne branch, travelled to meet his SiSok Giorgos Tzanodaskalakis- Instructor at the Heraklion branch. It is most pleasing to see our family members all linked together and enjoying visiting a home from home. Stefan was warmly welcomed by his SiSok and spent a number of days training at the WuGuan (school). 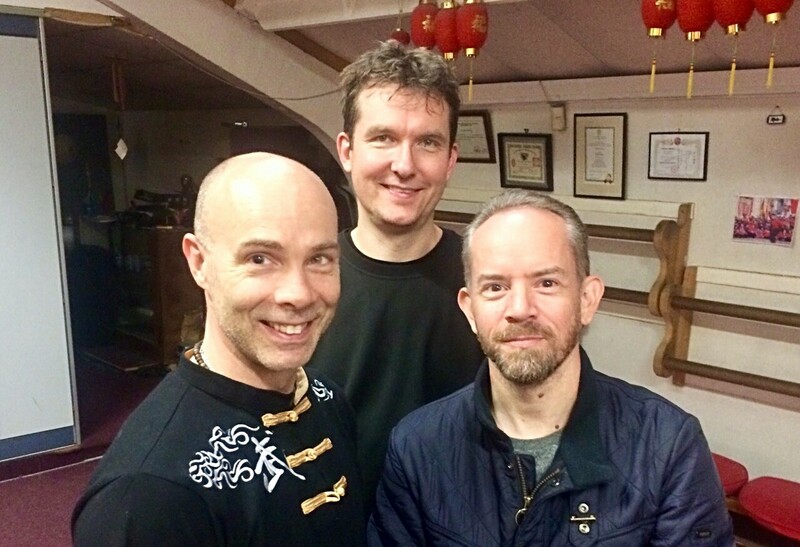 From Herne/Germany to Maidenhead/UK, Christian Kubiak returned to visit SiFu Dale for more training and development in Eagle Claw, furthering his skills and knowledge on all levels. Christians Dai Si Hing Stuart Keating also spent time at the Eagle Claw Kung Fu School. SiFu Dale and Christian were able to enjoy some leisure time taking in the sights and sounds of London’s West End. This close personal time helps bond our family further, as we share common goals and objectives for the Eagle Claw system.